My Easter Treat – Mastitis | Have kids, they said. It'll be fun, they said. What did I wake up to on Easter Morning? Not piles of Easter Eggs, oh no – I woke up to a raging breast infection. Sad story. I guess, having breast fed three children over 4-and-a-half-years, it was bound to happen eventually. And while I understand people who said to me, “you have only just gotten one now? Well done, you!” – when I am feeling like I might actually be dying, those comments tend to grate a little deep in me. Mastitis is an infection of the breast, caused by blocked milk ducts. For mild cases it can be relieved by feeding and feeding and feeding and feeding from the infected side, and drinking loads and loads of water. But, see your doctor for more severe cases because you may need antibiotics. I had fever, chills, vomiting and the distinctive red marks on my breast. Oh, and I felt like I was dying. Did I mention that? As mentioned prior, we had an Easter Egg hunt planned for lunch time. I decided to go ahead with it despite the fact that, at one point, I was literally crying in my 4-year-old’s lap – the mere suggestion that we not have her friends over for an egg hunt had Princesses entire body crumpling with despair. She had spent the morning decorating her Easter baskets and I didn’t have the heart to break her heart. So, on with the hunt – I hid the eggs and then curled up in a blanket until my friends arrived. 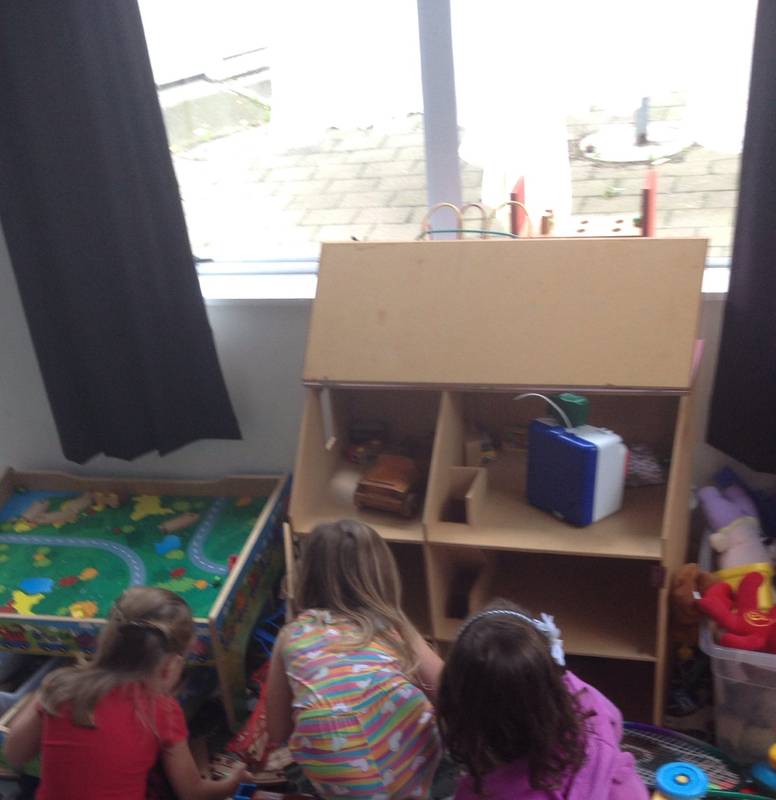 The hunt went on as planned and the kids had a blast – I hid the eggs all through our playroom (I’m pretty sure the kids have been back in today and found more eggs in there!). By all accounts all the kids had a great time, despite my being unwell, which is great. I’m glad we went forward with it. And so, Easter Sunday was, for me, spent lying on the floor, having baths to warm my body up, sleeping, sitting in the doctors waiting room (chatting to a nurse who felt the need to tell me everything about her children), sleeping and lying on the floor. We gave the kids their special eggs in the evening when I was out of bed, and, as their eggs came with a torch each, it was nice watching them running around screaming in the dark with their torches for a while before crashing out in bed, fast asleep and dreaming of chocolate. It’s the next day now and I’m feeling better, though not 100%. It’s hard work looking after kids when you are loathe to be touched by anyone. My house looks like a tornado has swept through it, and the kids have a bit of cabin fever, plus that convalescence that comes after Mummy has been sick. Almost a punishment for daring to spend a day ignoring them (besides, no one likes to hear their Mum being sick). Today will be a day of slow cleaning, quiet playing and .. ah, who am I kidding? It’ll be as messy and loud as usual. Because, children.